Provide durable connectivity for high-performance networks, servers, workstations and desktops. The SAS878750 0.5-meter Internal Mini-SAS cable (with Sidebands) features two SFF-8087 connectors, helping you transmit, manage and protect critical data and digital content. 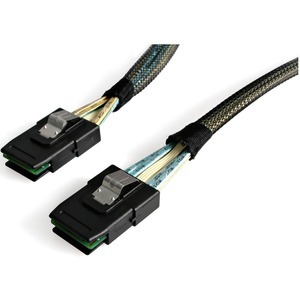 Designed to provide durable connectivity for high-performance networks, servers, workstations and desktops, this Mini-SAS cable is backed by StarTech.com's Lifetime Warranty.